A Sneak Peek at My Faves! 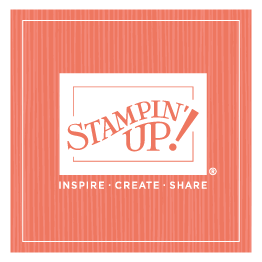 Several months ago, I was invited by our stamp product development team to choose some of my favorite stamps from the past to include in one of the “Best of” stamp sets that we are offering every month. I was thrilled with the opportunity to take a trip down memory lane! I browsed through every catalog we’ve had since the beginning—a time-consuming and enjoyable task. I LOVED seeing how far we’ve come, and was intrigued by how many memories a simple image could spark. So here's July's "Best of" set--the "Best of Shelli" includes six images from the past, along with one new one. Although we all know I love vintage, I wanted this set to be eclectic and diverse. . . believe it or not, I use more than just vintage images! I love backgrounds, so there’s one of my favorites in here, along with a bird, a heart, a gift package, and the obligatory (and much-loved) vintage image—the typewriter. A couple of flourishes finish the set off. . .
I’ve included a project for each image—after all, if I chose these images, I have to share project ideas as well, right? It’s only fair! And, just to tease you a little, I actually have TWO samples for each image because I wanted to show how diverse they were, so watch for another set of projects in a couple of days. The set is available on July 1; be sure to check it out. For now, enjoy this sneak peek at July’s “Best of” stamp set. . .